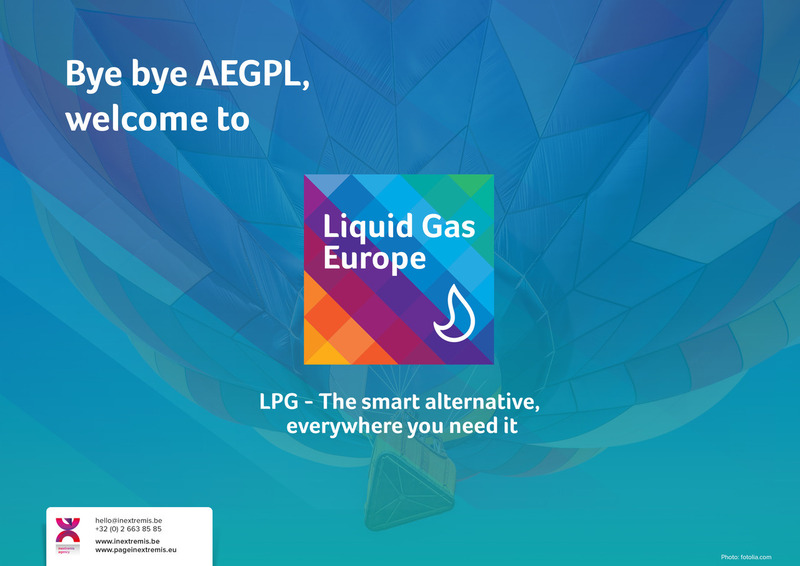 AEGPL has changed its name and visual identity – but remains the European LPG Association, promoting the benefits of LPG as a clean, safe, and versatile energy source. AEGPL becomes Liquid Gas Europe. Liquid Gas Europe, the European LPG Association, is composed of national LPG associations; the main European LPG distributors, and equipment manufacturers. Liquid Gas Europe designs,develops, and delivers projects aimed at educating the public on the benefits of LPG. Liquid Gas Europe also connect the industry with the media and produce campaigns promoting the advantages of a higher uptake of LPG as a source of energy. Liquid Gas Europe has entrusted the communication agency, Page in extremis with the mission to create a new name, logo and a dynamic visual system for their association. Page in extremis has over 24 years of experience in guiding organisations on the road to defining and articulating their uniqueness. The multidisciplinary communication agency team translates your organisation core idea into brilliant and adequate visual systems. Page in extremis builds brands and strengthens the reputation of leading organisations, European associations, and global corporations. Based in Brussels, the communication agency Page in extremis can help you define the essence of your brand and formulate its differences in a very positive relationship with its environment and all its stakeholders.